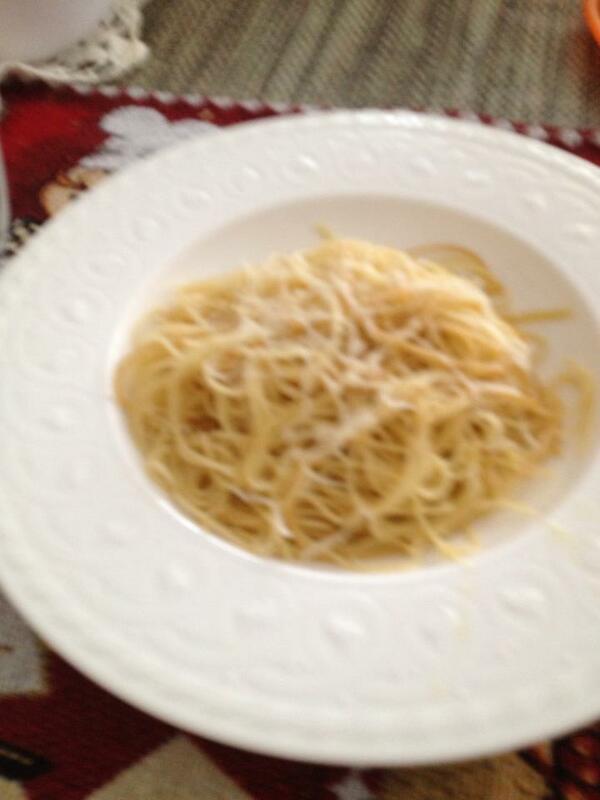 I apologize not a great photo and, I didn’t have spaghetti so I used Angel Hair. But it is a very light dish. Is it really Spicy? I remember the first time I had the dish, I had no idea what I was in for. When I was 16 I lived in Germany as an exchange student with the Rotex (Rotary Club). There were 50 or so exchange students from all over the world in Germany that year. We were afforded a trip for almost 2 months travelling around Germany, as well as crossing a border or two France and Austria. We stayed at the these dingy little places called Hostels. I know what you’re thinking, but no they aren’t like the movie. Rode a bus from place to place with very hormonal teenagers. We would get a sack lunch at every hostel we stayed at, but got the opportunity to choose what we wanted to eat for dinner. I remember many of us choosing Italian Restaurants, which typically had cheap, but relatively good food. And everyone eats pasta. I ordered the Aglio E Olio which on the menu in English said garlic oil pasta, spicy. Come to find out it is one of my favorite dishes to this day. 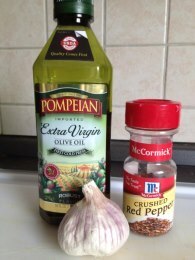 It is simply, A Garlic infused olive oil, sometimes has peppers, or pepper flakes, to add a bit of spice to the dish. With a simple spaghetti noodle and Voila awesome food. Add some fresh parmesan for the best results. You know if it is really fresh garlic when there are bits and pieces in among the pasta. 6-8 Garlic Cloves, minced, Not the photo above, split the cloves in half and take out the stem (that green part in the center), proceed to bunch up and mince (Chop til really really small pieces), You can however choose to just smash the garlic cloves whole and drop them in there (take them out when done cooking), if you just want the taste and no garlic pieces in your pasta. 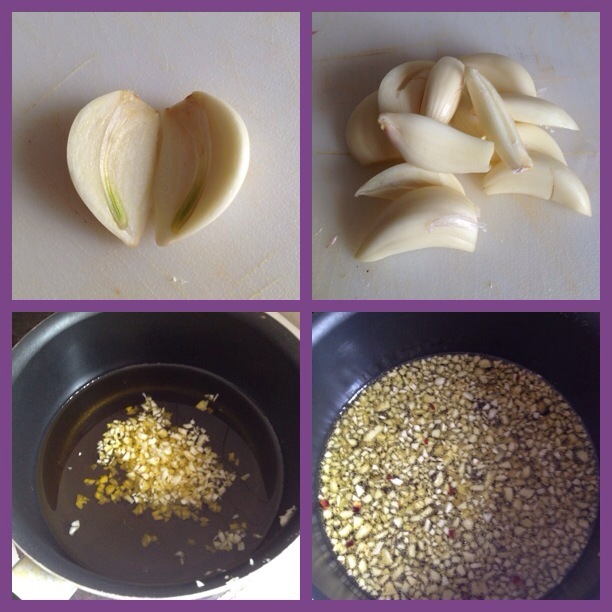 combine in a small pot, over med low heat, cook for 3-5 min, (don’t allow garlic to burn). When your noodles are prepared, in a sauté pan, pour a little infused oil (a tablespoon or two) on a serving of noodles and toss over medium heat, just to get it hot to serve. Serve in a pasta bowl. You don’t want it to be sopping in oil, the dish is meant to be lightly coated. Another use for the oil is for bread dipping. You can Serve Sautéed chicken breasts, squid rings, fish, and or shrimp with this dish too. Will Post a photo Later when we have dinner. As you can tell this can be prepared ahead. Very easy to serve.